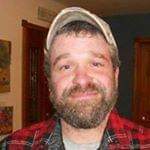 Randy R. Roesel, 53, of Waupun, passed away unexpectedly on Friday, March 22, 2019. Randy was born on February 16, 1966, in Plymouth, the son of the late Richard and Vernice (nee Giese) Roesel. Randy enjoyed the outdoors, camping, hunting, fishing, and spending time with his family and friends. He was an amazing father and friend, he was someone who would selflessly help and give you the shirt off his back if you were in need. Those Randy leaves behind to cherish his memory include his son, Jeffrey Roesel; three brothers, Lonn (Stacie) Roesel, Trevor (Teresa) Roesel, and Kevin Roesel; nieces and nephews, Brianna, Jackson, Brock, Walker, Dakota, Brooklyn, and Chayse Roesel; a good friend, John; other relatives and friends. In addition to his parents, Randy was preceded in death by his paternal and maternal grandparents, aunts, and uncles. At the request of the family, there will be a private celebration of Randy’s life on Friday, March 29, 2019, at the Myrhum Patten Miller & Kietzer Funeral Home in Kewaskum. The Myrhum Patten Miller & Kietzer Funeral Home has been entrusted with Randy’s arrangements. Additional information and guest book may be found at www.myrhum-patten.com.